It is no small secret that I am absolutely obsessed with alternative ways to decorate your home. One of my favorite DIY décor ideas is populating gallery walls with new and exciting shapes, sizes, and textures. 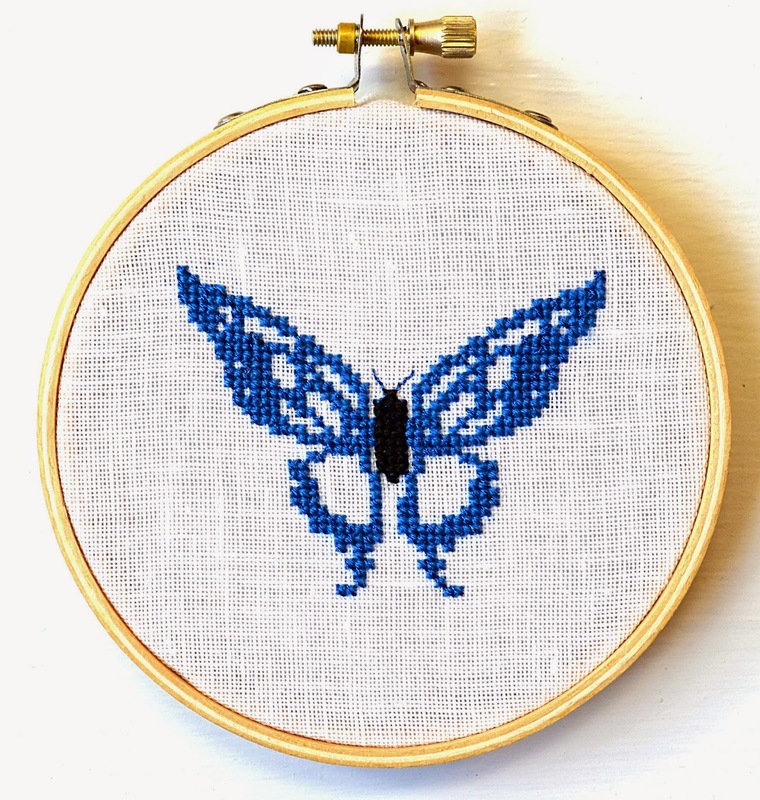 Hanging printable wall art, canvas art ideas and more can really add some visual appeal to your gallery wall, but to really add eye-popping ideas to your walls, embroidery hoop crafts are the way to go! 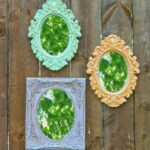 These DIY cuties allow you to skip the all-square boredom of framed ideas and show off your well-rounded crafting know-how. Adding projects like the 11 Unexpectedly Simple Embroidery Hoop Crafts to your walls easily adds visual interest to your indoor world. 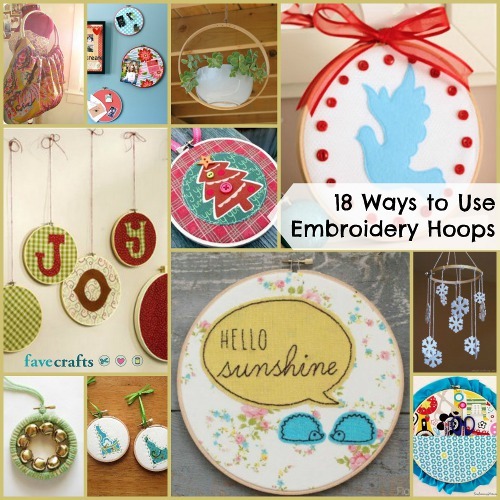 If you are looking for even more embroidery hoop ideas and crafts, check out our list of 18 Ways to Use Embroidery Hoops. What is your fave wall decor piece you have in your home? 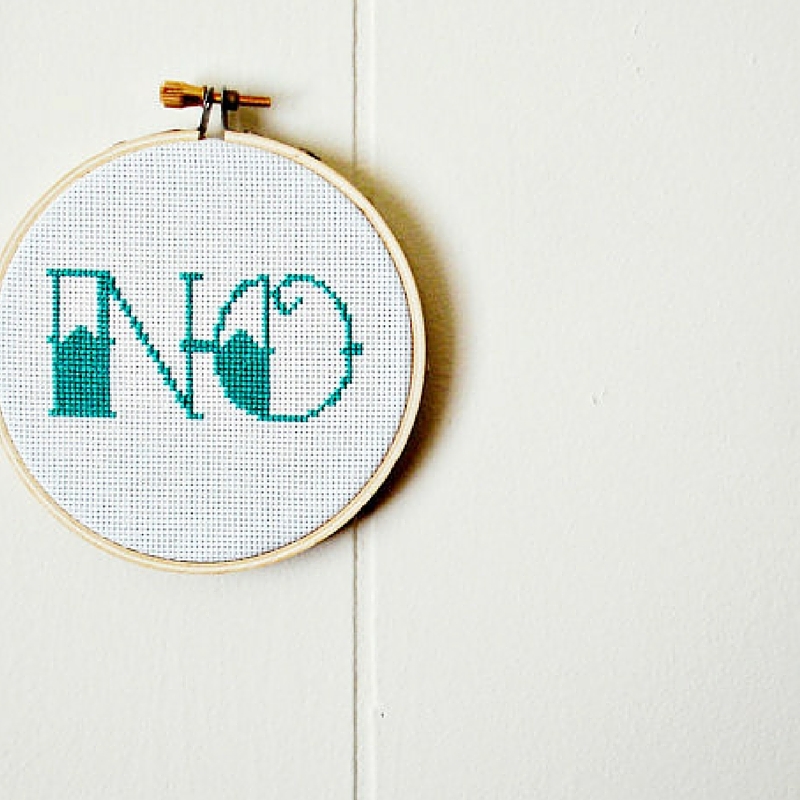 You wouldn’t think it, but cross stitch is a great project for the holidays. 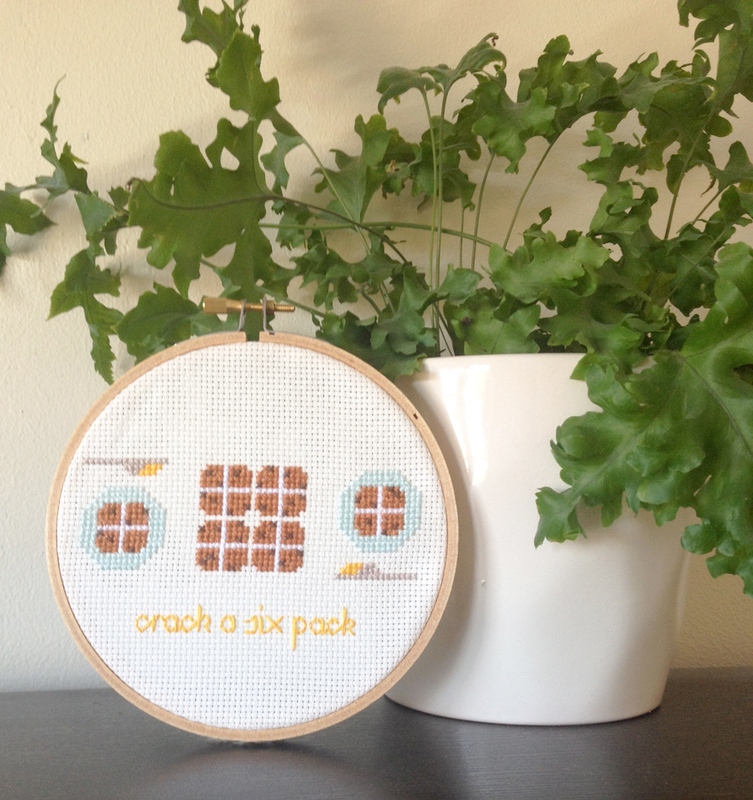 You can make an endless amount of unique craft projects with cross stitch — all you need is your creativity! 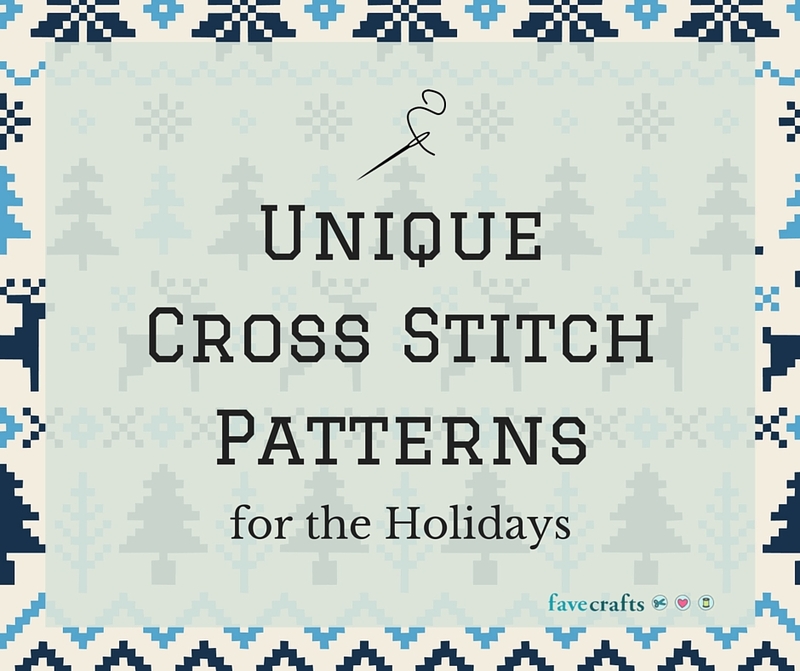 From DIY ornaments to gift tags, you can easily incorporate cross stitch patterns into your holiday crafting. 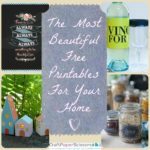 Just scroll through our list for some crafting inspiration and for some free cross stitch patterns! 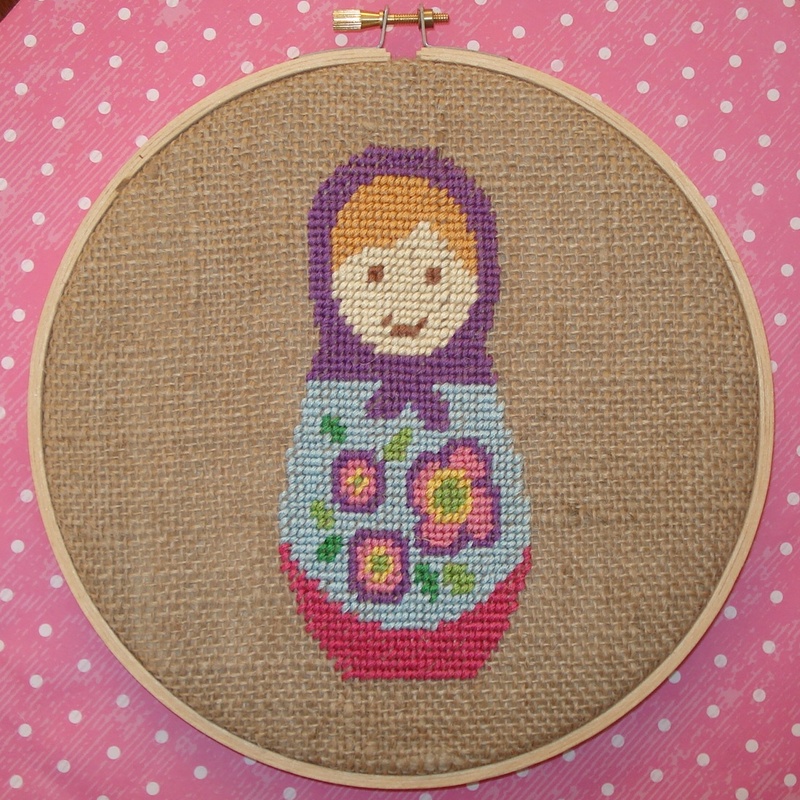 Cross Stitch Babushka Ornament: this cross stitch project is so adorable! We’d love to create a family of Babushka dolls to decorate our tree. Cross-Stitch Holiday Towels: looking for a way to add some festive flair to your kitchen? Try this pretty cross stitch pattern. You can even add this gorgeous pattern to table napkins for an extra special detail to your table decorations. 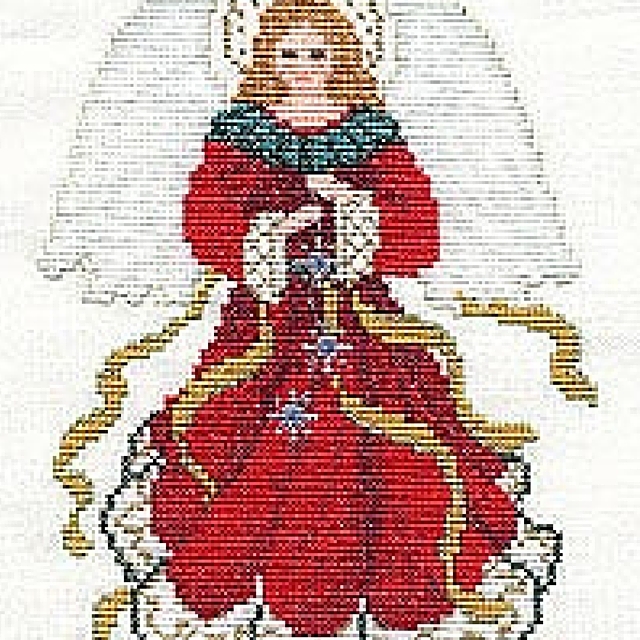 Beautiful Christmas Angel Cross Stitch Pattern: an angel is such a classic cross stitch pattern, but we think this design is so unique – we absolutely can’t get enough of this colorful design! 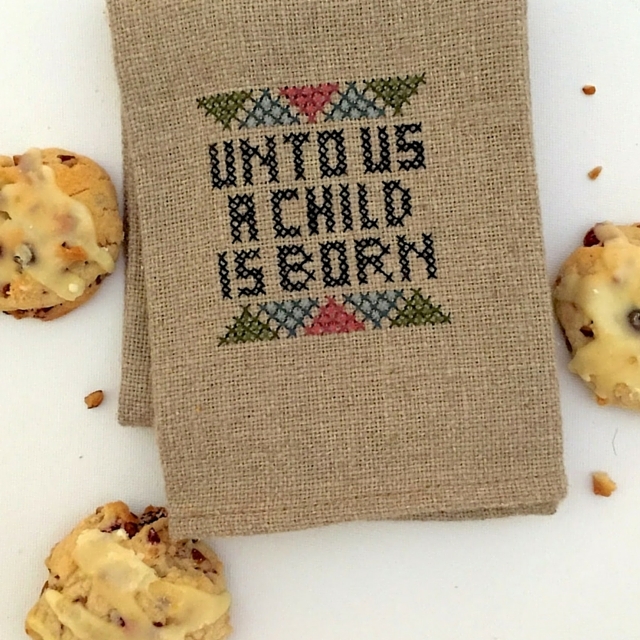 A Child is Born Dish Towel: this is a wonderful dish towel idea. We love the idea of using a cross stitch pattern to put a classic Christmas saying on a DIY home decor project. It’s simply charming! 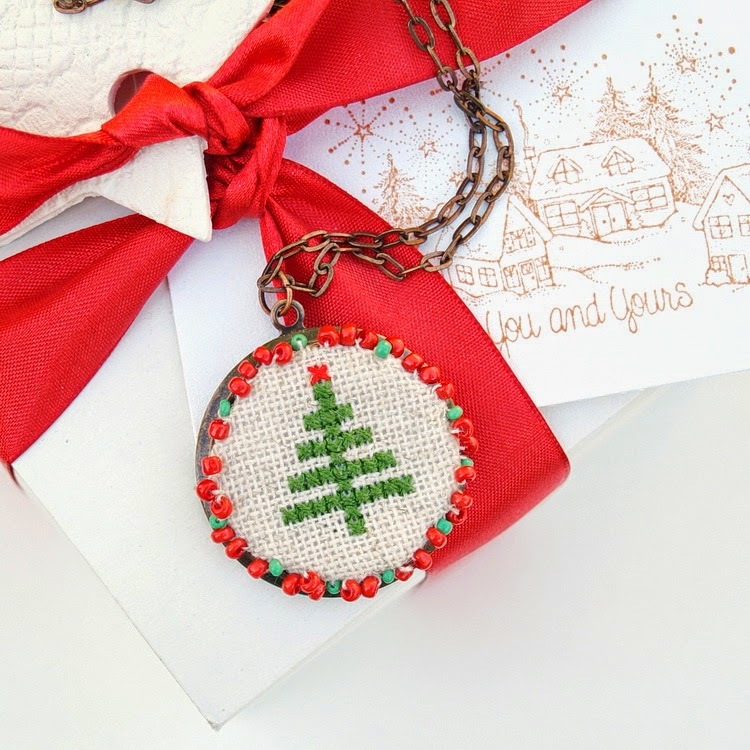 Christmas Tree Cross Stitch Necklace: we love the idea of creating a unique piece of holiday DIY jewelry with cross stitch. We even think this craft idea would be great if you want to make a DIY ornament for your tree as well! 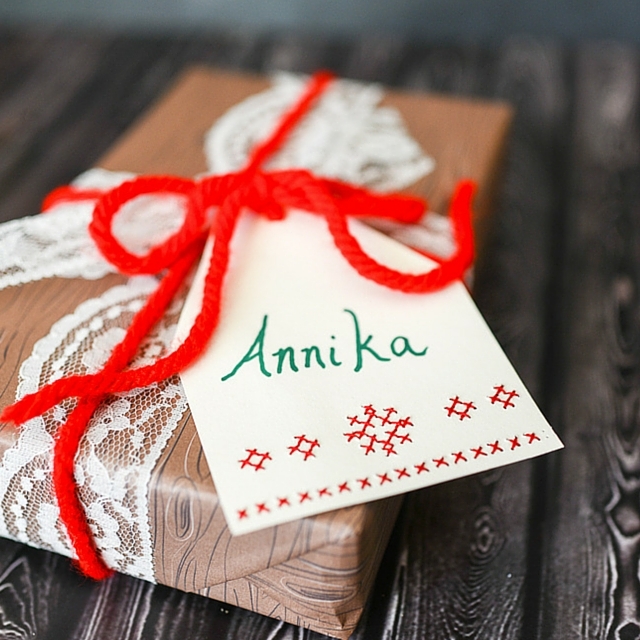 Printable Cross Stitch Gift Tag: this gift tag is so simple and easy. It’s made even easier because it’s a printable design. What a fun and unique way to add some cross stitch into your holiday gift wrapping! 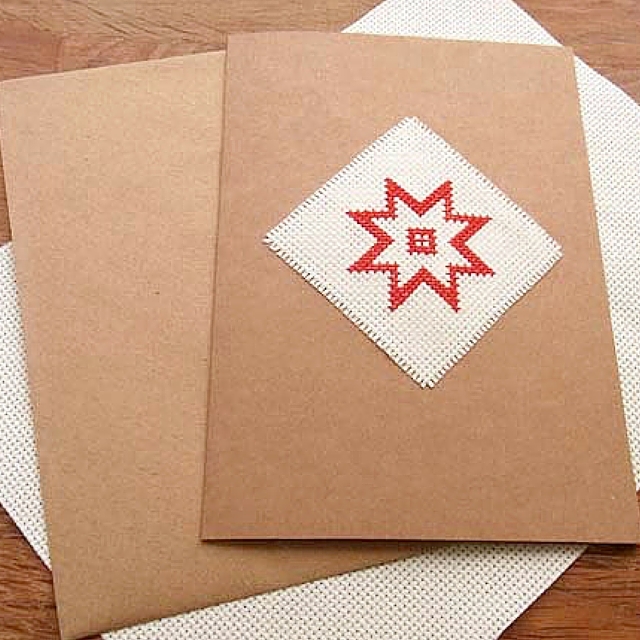 Cross Stitch Holiday Card: if you aren’t into gift tags, then try making some handmade cards for Christmas. 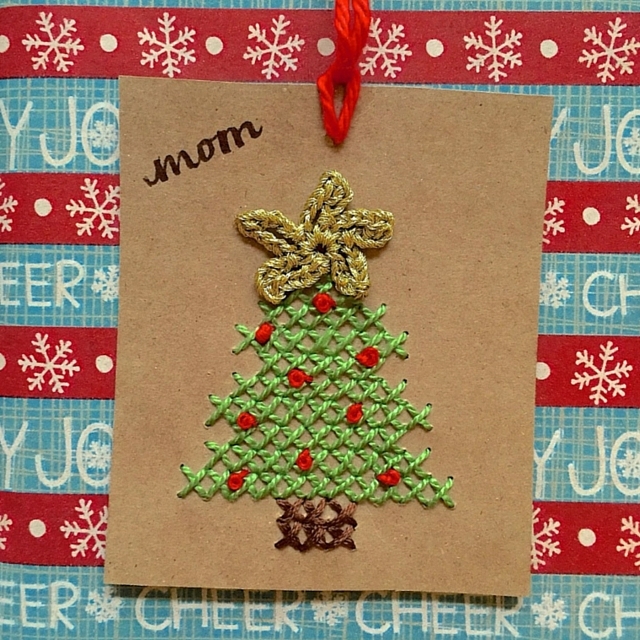 You can use this craft project idea to make a fun, cross stitch Holiday card. 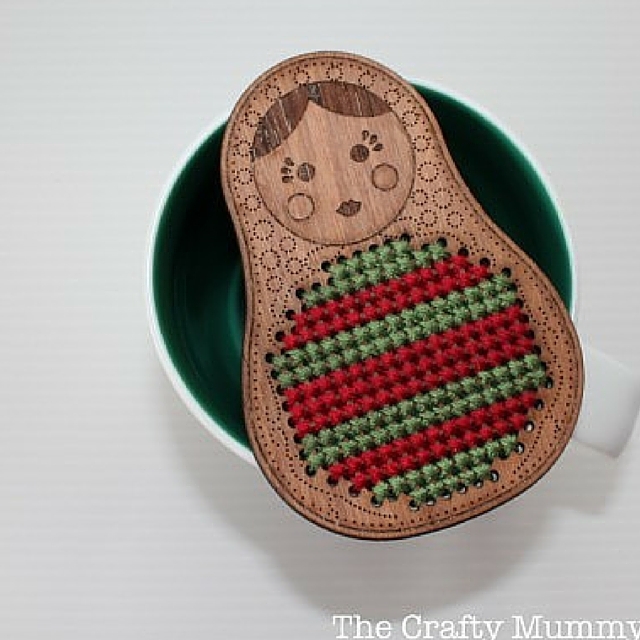 Wooden Cross Stitch Ornament: this a such a unique and different ornament idea! 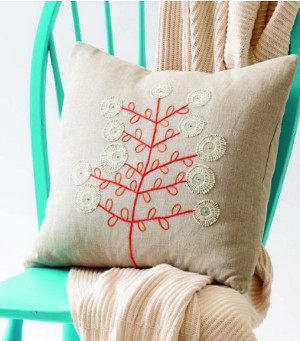 Get creative and make different cross stitch designs for your tree. We even think these DIY ornaments would make great stocking stuffers. 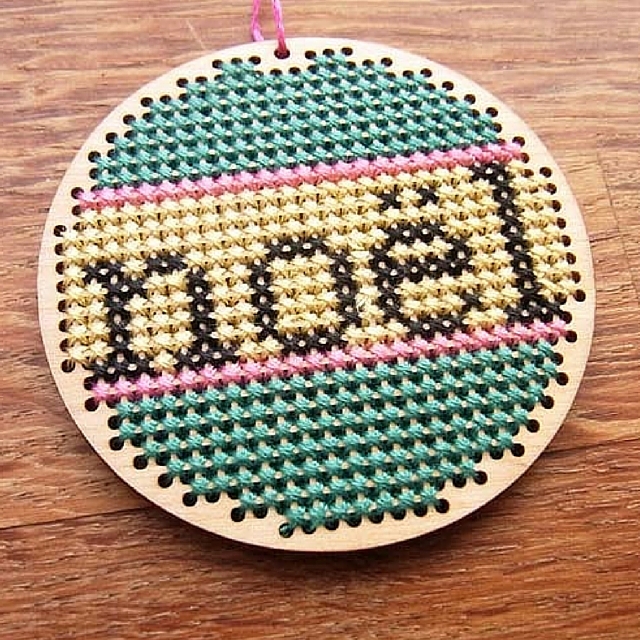 Cross Stitch Gift Tag Idea: another great DIY gift tag idea! This cross stitch gift tag is truly a work of art. Comment below and let us know, what’s your favorite Christmas tradition? Need a little pick-me-up or got a case of the blues? We all know that crafting is a great stress-reliever and cross stitch is one of our favorite crafting activities. 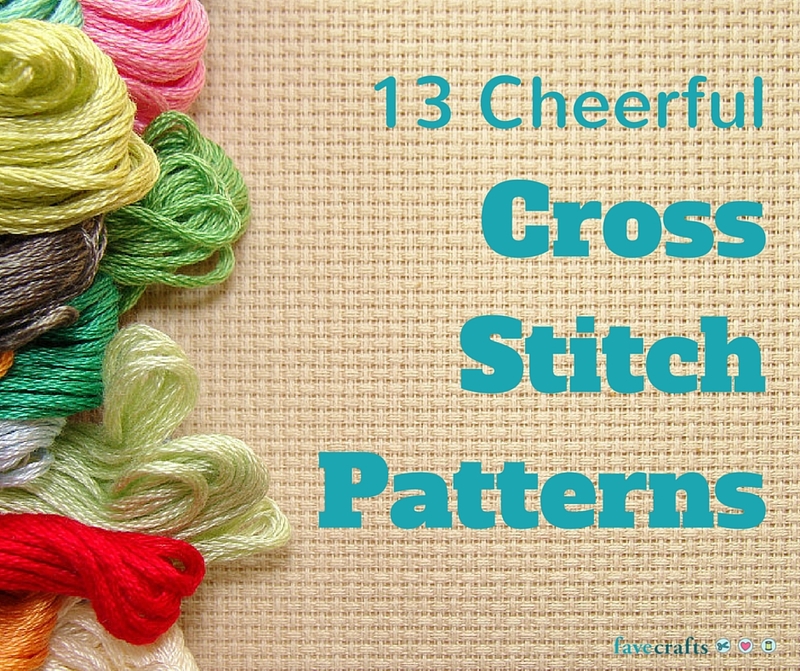 These cross stitch patterns are so cheerful, they’re bound to put a smile on anyone’s face and they’re sure to be a joy to make. Pursue the list, and maybe you’ll find a cross stitch pattern you’ll want to make on your next rainy day! Oh Hi! 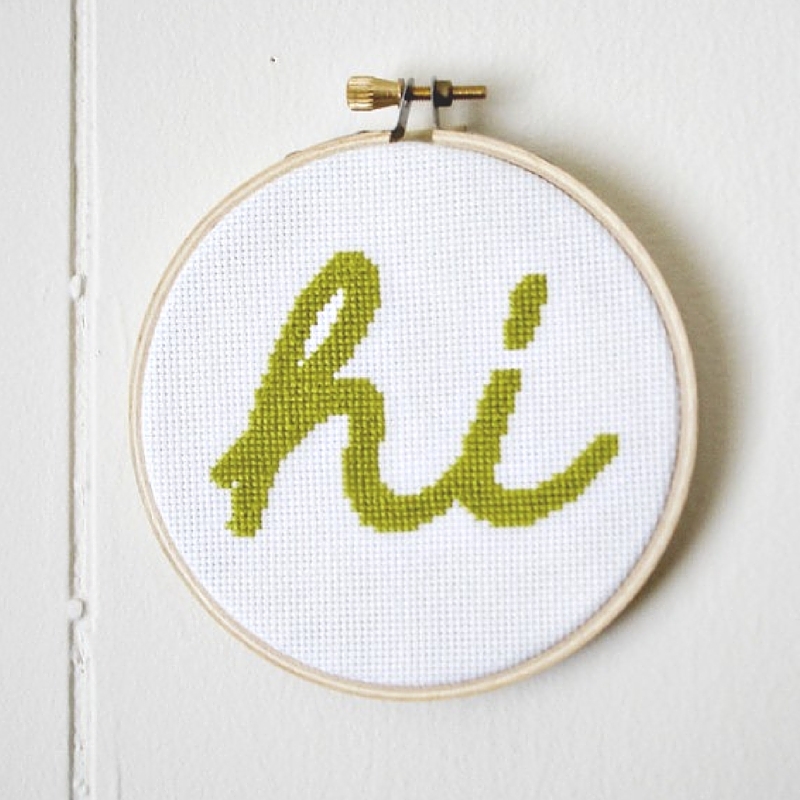 Free Embroidery Pattern: this cross stitch pattern lets you display a cheerful greeting for all to see! No Statement Printable Embroidery Pattern: if you’re feeling the opposite of cheery (which we all sometimes do), then let people know with this fantastic design. Show off your personality! 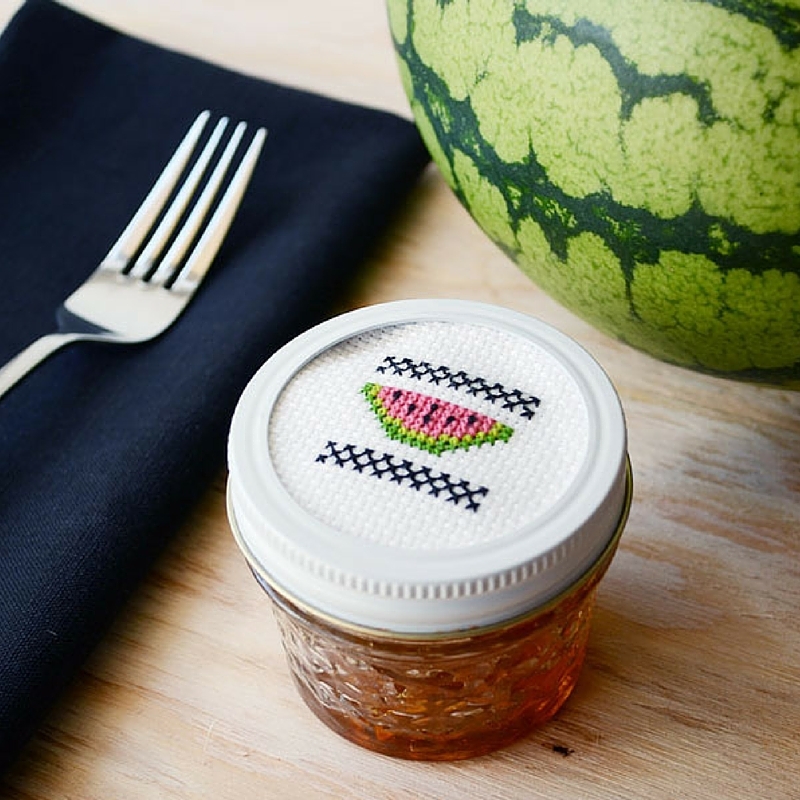 Watermelon Cross Stitch Pattern: this watermelon pattern is so wonderful, it reminds us of summer. 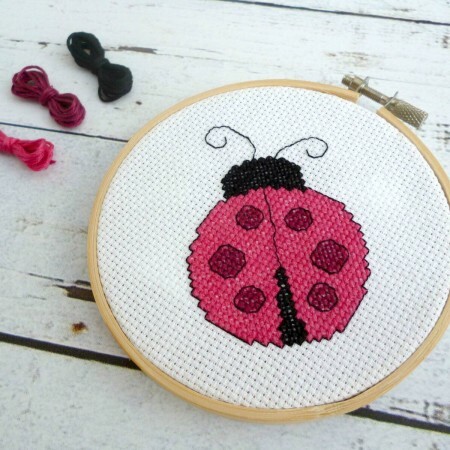 Ladybug Cross Stitch Pattern: ladybugs are so friendly! This cross stitch pattern also has instructions for those who are just learning the trade and need some good tips. 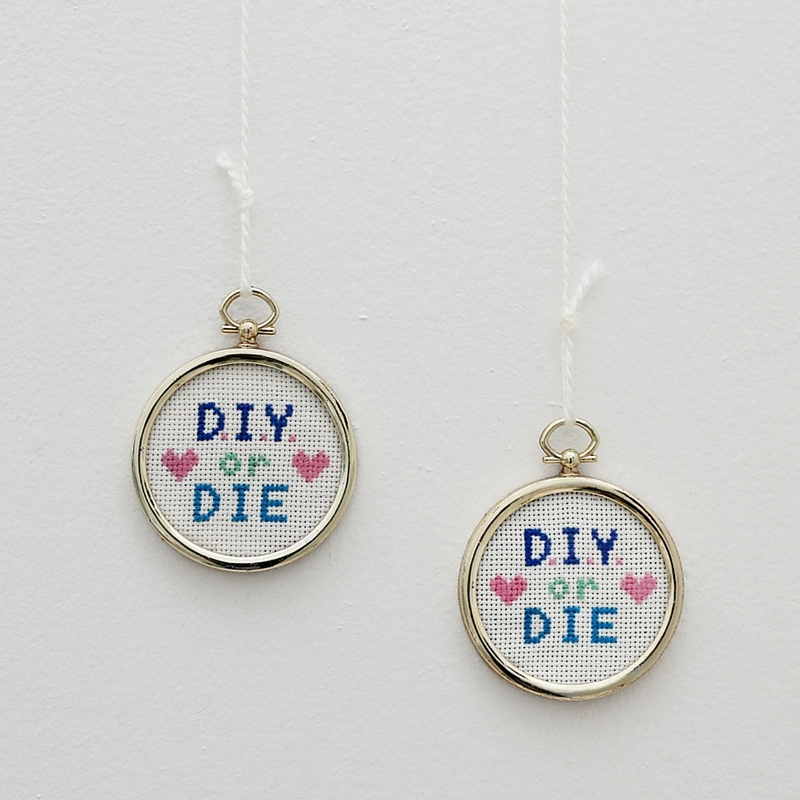 DIY or DIE Cross Stitch Pattern: display your love for DIY projects with this undeniably funny pattern. Put it in your craft room for the perfect DIY decor piece. Sparkly Butterfly Pattern: this pretty butterfly is extra pretty because it sparkles! Make a bunch of different-colored butterflies to decorate your wall. 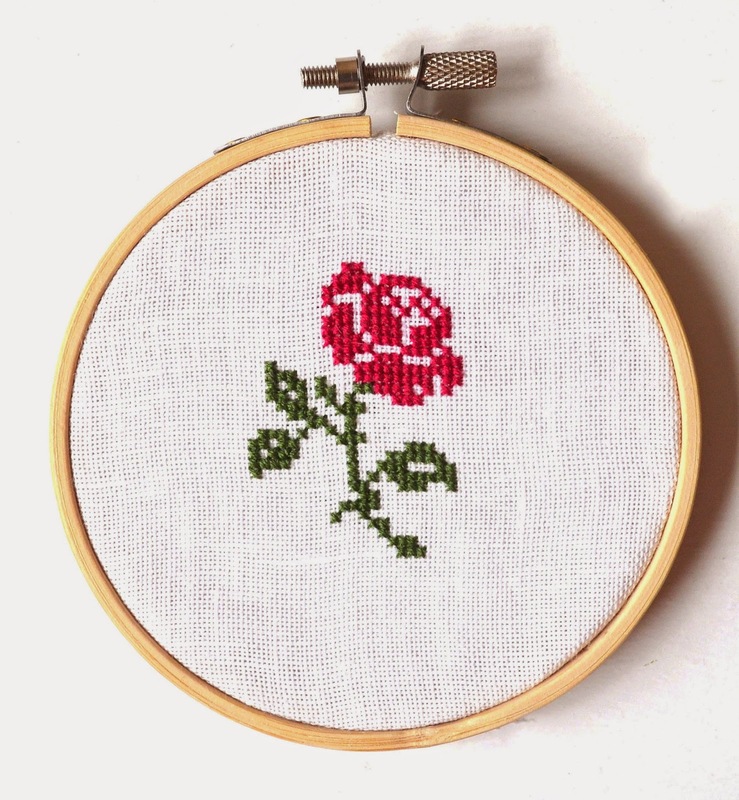 French Rose Pattern: channel your inner Belle with this cross stitch pattern. How about a Prince Charming to go along with it? 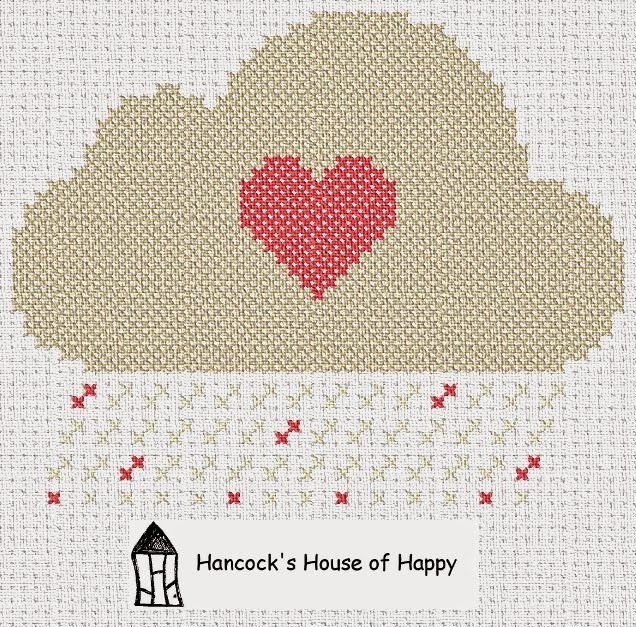 Happy When It Rains Cross Stitch Pattern: prove that the rain isn’t enough to dampen your good mood! This pattern instantly cheers us up. Hot Cross Stitch Buns: boy, those are some nice buns! If you’ve got a sense of humor, then this cross stitch pattern is definitely for you. 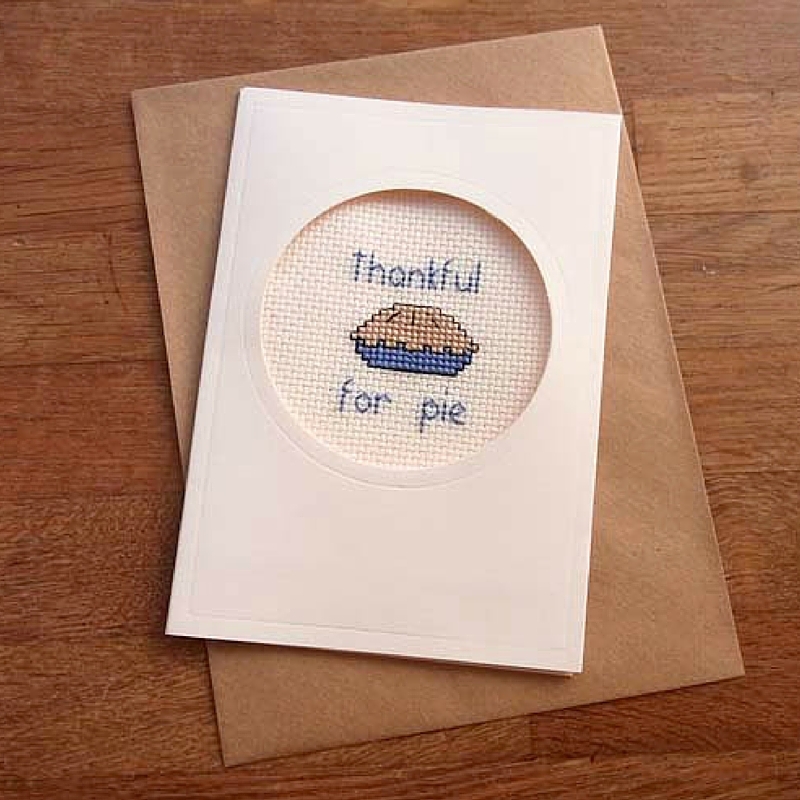 Thankful for Pie Cross Stitch Pie Card: we love pie! We think pie is great for many a fine occasion, so we can see ourselves using this card a lot. Embroidered Babushka Doll: this smiling doll is super pretty and really adorable. 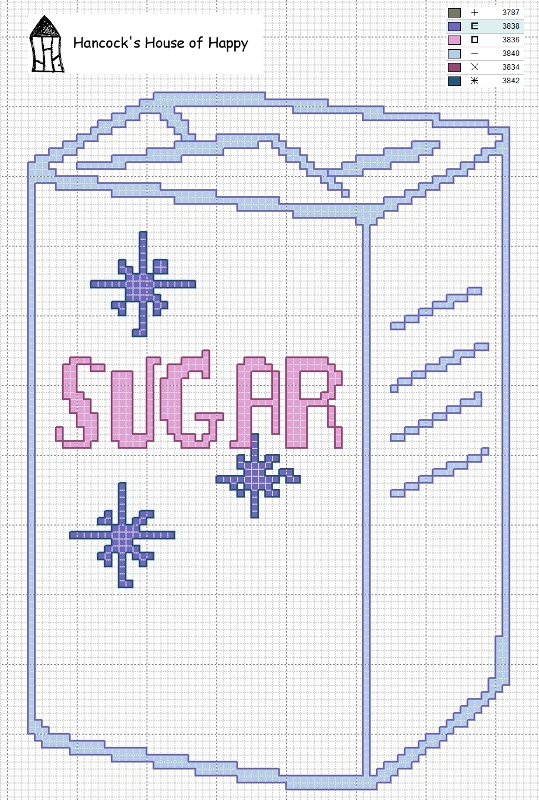 It’s such a fun cross stitch pattern! Sugar, Spice, and Everything Nice! Pattern: “Sugar, sugar, honey, honey” we want to put this up in our kitchen and dance all day long to one of our favorite songs! This is the perfect DIY decor for any baker or Archies fan. 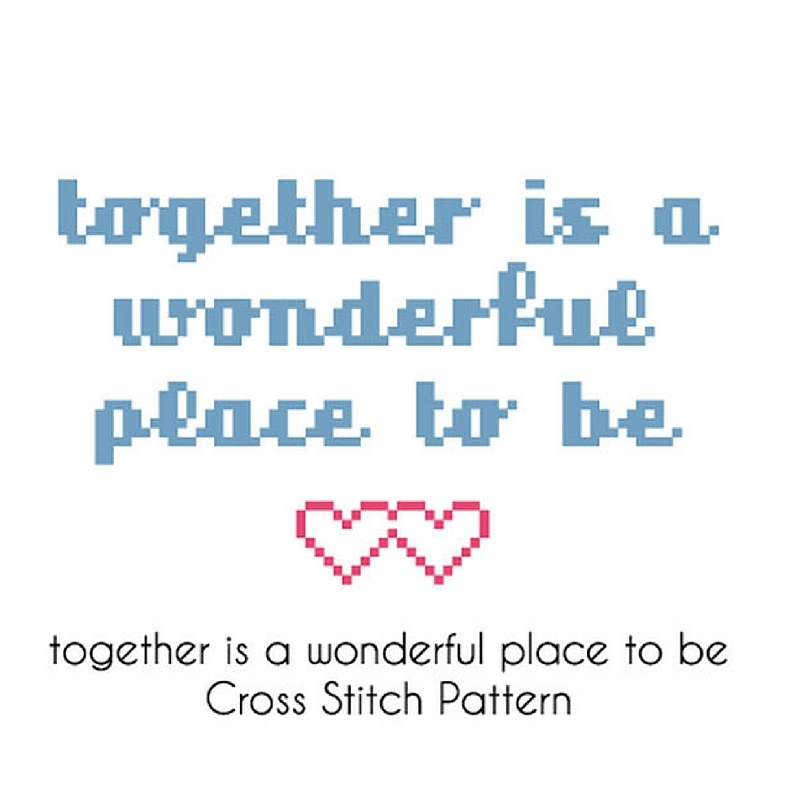 Together is a Wonderful Place Pattern: the sentiment on this cross stitch pattern is just so sweet (as sweet as sugar?) it’s simply bound to put a cheerful smile on anyone’s face. Comment below and let us know, what’s something that always cheers you up? One of my earliest crafting memories is learning how to use the embroidery hoop. My great-grandmother, who was a master sewist and knitter, had a large assortment of embroidery hoops that she gave to my mom after she moved to Florida. My mom spent several days teaching me how to use the embroidery hoop and how to sew and embroider patterns onto fabric. 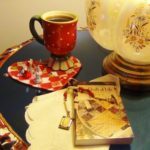 I had remembered watching my great-grandmother embroider and I loved the poetry of her movement…how she effortlessly created all kinds of embroidered napkins, pillowcases, and handkerchiefs by simply pulling a needle and thread through the fabric. When I got old enough, I created my very first embroidered pattern, which was a haphazard dedication to Harry Potter. When I stumbled upon this project a few years ago, it brought me to tears and I instantly hung it above my bookshelf, where it sits today. As I sat looking at one of the first things I ever remember making, I wondered what else I could do with my great-grandma’s embroidery hoops. I have a variety of hoops in different sizes…so I did some exploring and gathered up a few of my favorite embroidery hoop projects for you to enjoy! Whether you use them to embroider or decorate your home, these plastic and wooden hoops can do wonders for your home decor. 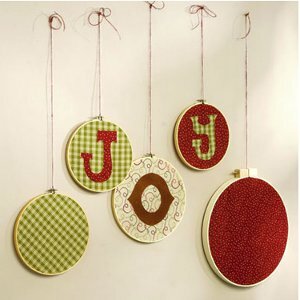 Projects like the Jolly JOY Ornaments make for a quick and easy Christmas decoration…and the Embroidery Hoop Bulletin Board is a great way to keep your life organized. No matter how you use them, these fun embroidery hoop ideas are sure to give you a reason to dig those old hoops out of your craft stash! Enjoy! 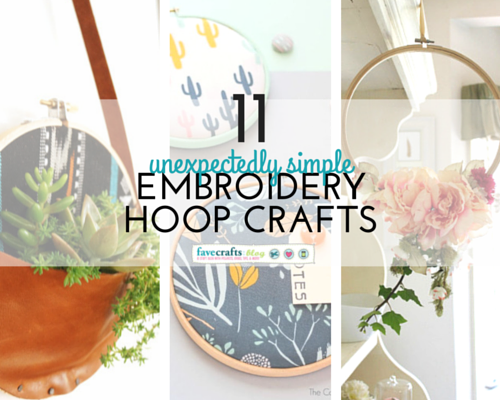 How do you use embroidery hoops in your crafting life? We’ve seen a lot of different kinds of crafts come along on AllFreeChristmasCrafts, and today, we’re focusing on needlecrafts because we’re excited to share Redwork Winter Twitterings by author Pearl Louise Krush. There’s plenty of time to prepare for Christmas, which makes an intricate and charming embroidery project perfect to start on now. The book includes 8 different projects you can choose from, as well as a series of holiday-themed embroidery patterns that you can apply to any of them. Whether you’re hoping to make some cute wearables, festive additions to your Christmas home decor, or small decorations, these versatile embroidery designs will help you realize your Christmas vision. You may have never worked with embroidery before, but that doesn’t mean you should pass up on a book like this that’s full of such elegant patterns. No matter what kind of learner you are or your previous experience level, Krush’s tutorials and diagrams will be helpful. Redwork Winter Twitterings begins with some introductory embroidery techniques, and each pattern includes a very detailed list of steps that will help you learn to make a quilt, a table runner, and even a cute little bag. There’s even a conversion chart in the back for your measurements so needlecraft enthusiasts from all over can enjoy these projects. Get your needles ready! 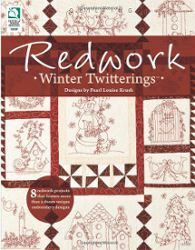 Christmas is months away, but our giveaway for Redwork Winter Twitterings is happening right now on AllFreeChristmasCrafts! Enter for your chance to win before May 21st. This copy is even signed by the author herself, so you won’t be able to find another copy like this anywhere else! Green crafting is a trend that has taken the artsy world by storm, and rightfully so. Not only do recycled and upcycled crafts save you green, but they also ensure that our lovely planet will stay green for decades to come. 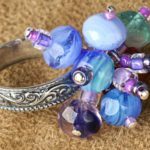 As they say, “one person’s trash is another person’s treasure”, or “one person’s recycling bin is another’s supply store.” To honor the Earth and all that it encompasses, FaveCrafts.com and its sister sites are challenging you to craft green. This small challenge comes with big reward. Return daily to enter to win one of two exciting Earth Week prizes. Find the contest rules and enter below. *This giveaway is now over. Please enjoy the free tutorial below. Today is day one of Earth Week, and we’re starting out strong with a lovely and useful recycled craft from Crafting a Green World. With this tutorial from Julie Finn, you’ll learn how to turn recycled cardboard into Embroidery Floss Spools. This wonderful idea keeps money in your wallet and grass on the ground. 1. Create a template. If you already own some embroidery floss spools that you like, just trace them. Graphing your own pattern on centimeter-gridded graph paper is really easy, however. 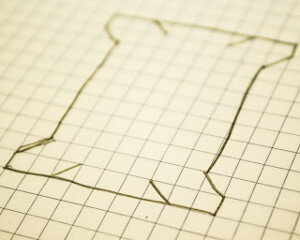 A template drawn on graph paper is easy to make symmetrical, and you can fancy it up however you wish. 2. Fussy cut from cardboard. 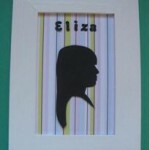 To fussy cut something means to cut it specifically to include a certain exact detail, often from a novelty print. You can fussy cut your embroidery floss spools by placing your template over something awesome, like Art Garfunkel’s face or Toucan Sam’s beak. Note: If you cut your spools out of plain cardboard, you can still embellish them with ink pens–just make VERY sure that nothing you use will rub off on the floss. 3. Wrap and store! Finally wrap all of your floss nicely and neatly and organize it (in rainbow order, obviously!). Thanks again to Julie Finn for Crafting a Green World for allowing us to share this tutorial! 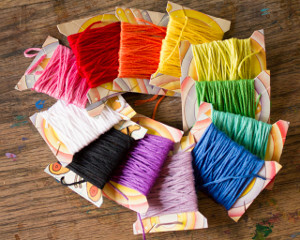 Love embroidery floss projects? Check out these great embroidery and friendship bracelet tutorials! Return daily to comment on the blog for your chance to win one of the two Earth Week prizes. 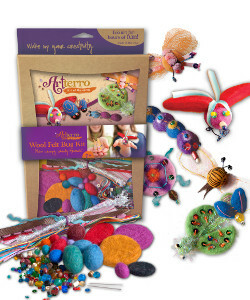 One lucky winner will win a Wool Felt Bug Kit and an Art Journal Kit from Arterro, and another lucky winner will win two hanks of At the Bahamas: Multi Colored Recycled Sari Silk Ribbon Yarn from Darn Good Yarn. Bonus! As a gift to all Earth Week participants, when shopping with Arterro enter the coupon code FAVE20 for 20% off any order through May 1st. There is a maximum of one entry per person per day. The entry will be based upon a comment left on this blog post. Duplicate comments will be deleted and are not tallied. You can comment once a day on each blog post. Winners will be selected at random from the comments on the Earth Week blog posts. Winners will be announced here on the blog on April 29th as well as contacted by the email address provided. You have until April 28th, 2013 at 11:59p EST to leave your comment on any of the Earth Week posts. Comments posted after that will not be counted. 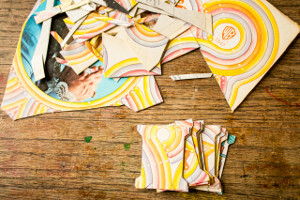 What crafts have you made from recycled cardboard? It’s no big secret that the art of needlepoint is a slow and meticulous process. 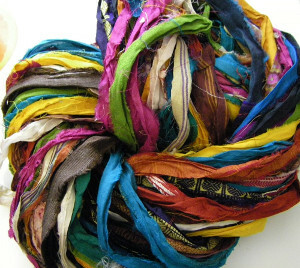 One project can often take weeks to complete and can involve any number of thread colors. 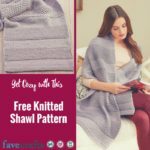 However, as most crafters and needlepoint designers will tell you, the reward is often well deserved and more than worth the effort it took to create the project. For those who love needlepoint crafts and are looking for fun and creative patterns to make and give, Anna Maria’s Needleworks Notebook is a great place to start. 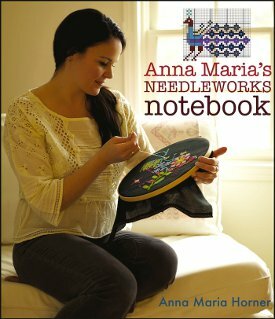 Anna Maria’s Needleworks Notebook features four categories of needlework; cross stitch, needlepoint, embroidery, and crewel. 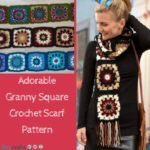 Each category offers advice on common tools used, Anna Maria’s favorite techniques, and hold-your-own hand instructions on how to develop and create your own patterns. In addition, each project journals her process right down to the precise fabrics and exact color number of every thread used in the beautifully photographed examples. Wanna win this beautiful book? Head on over to the giveaway page and register to win today! We’re also giving away a great set of threads from Anchor yarns, so you have the chance to take home BOTH these prizes! All you need to do is head on over to the giveaway page and register to win. You have until May 3rd to enter, and you can enter to win once a day…so the more you return, the greater your chances of winning this awesome double giveaway! You can also blog about this giveaway or talk about it on Facebook, Twitter, and Pinterest to help you gain additional entries. Find all the info at the giveaway page. Good luck! Needlepoint has seen a rise in popularity in recent years. Crafters are looking for new and unique ways to create stylish and fun canvas projects, and more and more homeowners are creating fun home decor using this beloved crafting technique. However, I’ve never seen a kit like the Floral Path Bolster from Anchor Living. 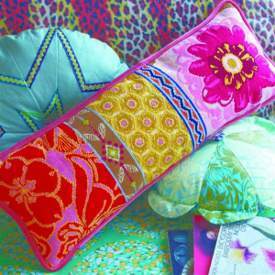 Filled with all the colorful thread you need to create this 5-window bolster, this easy needlepoint kit is great for needlepoint lovers. Complete with a color coated canvas, Anchor Tapisserie Wool, full instructions, and a needle to help you get the job done, this is a wonderful kit for anyone who’s looking to play around with plastic canvas crafts. Of course, all the hard work will be well worth it when you can show off the final product. The bright colors of this pillow can compliment any decor, and it’s perfect for teens and adults alike. I love the vibrant pinks, reds, and yellows that seem to pop out of the pillow…and everyone will be shocked when you tell them you made it yourself! If you’d like to try your hand at using this embroidery kit, head on over to the giveaway page and register to win today! We’re giving away this beautiful kit to one lucky winner, and it could be you! All you need to do is register to win by filling out the form on the Anchor Living Needlepoint Tapestry Giveaway Page. You have until March 15th to enter, and you can enter to win once a day, so the more you return, the greater your chances of winning this beautiful embroidery kit. You can also gain additional entries by blogging about this giveaway or talking about it on Facebook, Twitter, or Pinterest. Good luck! Better Homes and Gardens is know for supplying their readers with trustworthy, entertaining, and beautiful crafting projects. When it comes to their craft book, Embroidery: 35 Projects to Decorate, Celebrate, and Embellish, Better Homes and Gardens proves their reputation for excellence once again. This craft book features 35 different embroidery projects that span from basic embroidery crafts to some at more advanced levels. The different techniques that are highlighted in this collection included crewel, sashiko, ribbon embroidery, cross-stitching, and redwork. Each one of the different projects included in this book is accompanied by full size images that display the completed project, the pattern, and steps along the way. The combination of pictures and in-depth instructions, make these project tutorials very simple to understand. The final section, Basics, is meant to help beginners get started. This section displays a wide variety of the different stitches that those new to embroidery should know. While this section may be better suited for beginners, more advanced embroiderers can also use this informative section to sharpen their already developed skills. 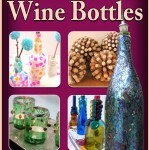 The other 3 sections of this book focus on projects for the home, holiday crafts, or handmade gifts. The Holiday section boasts 10 projects tailored specifically for Christmas and Halloween. If you are looking for projects that can decorate your place all year round, turn to the Home section and spend some time embroidering a few towels for your kitchen or throw pillows for your living room. Finally, if you have a party or celebration coming up, there are 10 additional projects included in this book that make perfect gifts. There are patterns on how to make thank you cards, with an embroidered touch, handmade jewelry, and many others. Whether your looking to develop a new skill, focus on decorating for the holiday season, work on the home, or make a few handcrafted gifts, Embroidery: 35 Projects to Decorate, Celebrate, and Embellish is a wonderfully descriptive source for you to use. 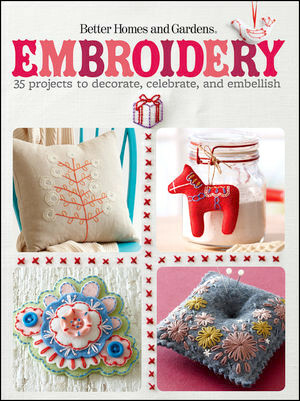 AllFreeHolidayCrafts.com is giving away a copy of Embroidery: 35 Projects to Decorate, Celebrate, and Embellish to one lucky winner. You could win! 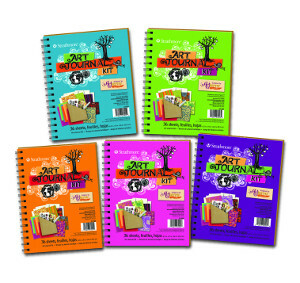 Contest ends January 15, 2013. You can enter once daily, so return often to improve your chances of winning! For now though, check out some of the Christmas embroidery ideas we currently offer. Can you imagine the look on your family’s face when you show them this completed Pottery Barn inspired Christmas Tree Advent Calendar? Not only is this one impressive homemade Christmas craft, it will help you count down to the special holiday! 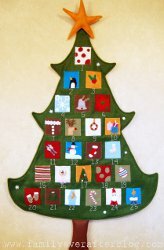 If you’ve been looking for fun Christmas craft ideas, this advent calendar will not disappoint. Each pocket is specially embroidered. You can personalize your calendar by embroidering your child’s favorite hobby or an image of your famous Christmas cookies. 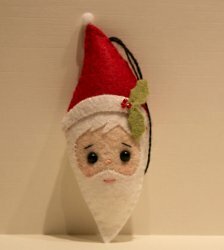 The adorable Embroidered Santa Head Ornament makes a wonderful gift for neighbors, co-workers and friends. When you’re searching for great craft ideas for Christmas gifts, take a look at DIY ornaments like this one. As a truly special ornament, you can count on it hanging on their tree for years to come. Use the free pattern and step-by-step directions to complete this cute and easy Christmas craft. 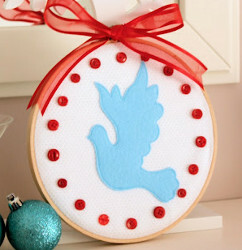 Create your own Christmas Wall Art with embroidery hoops, fabric and felt. These cute Christmas craft patterns are great for decorations or gifts. Your kids will love decorating this fun Christmas craft! Do you have embroidery ideas to share with us? Contact me, the editor of AllFreeSewing.com at customer.service@primecp.com. 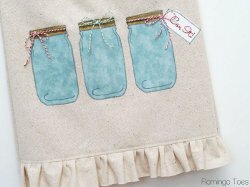 We think embroidery projects make special gifts. 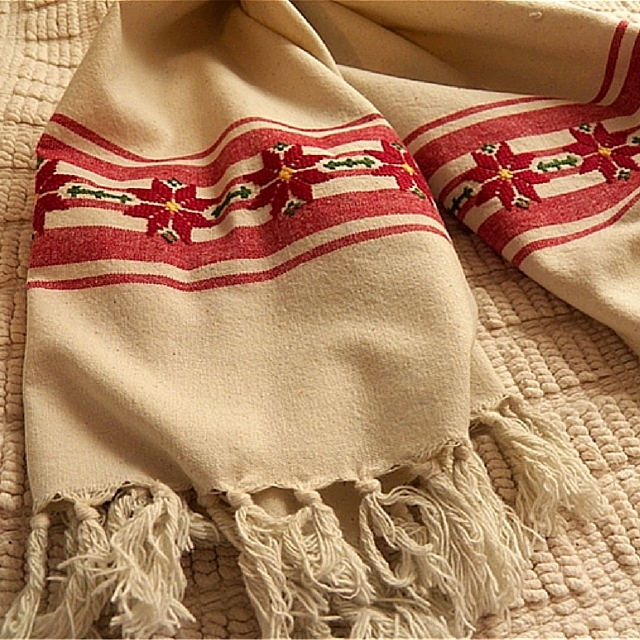 Have you ever given or received something embroidered? How To Create Your Own Craft Selling Event!